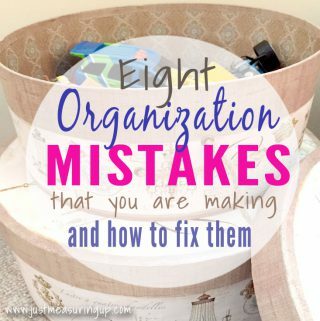 This post may contain affiliate links to products we personally use and love. Having spent most of my life in warmer climates, I was 15 years old when I first saw snow. I was captivated by it. I loved being out in the snow, playing snow sports, and even shoveling. To this day, I still love snow. I’ve always wanted a snowblower, but we’ve never had a strong need. After moving into our new house with a massive driveway, the snow last winter was too much. After a major storm, my neighbor lent me his snowblower, and I was enthralled. ​It was so much fun to use, and even though I enjoy a good shoveling workout, it freed up a lot of time to play with my son in the snow. So I was determined to get my own snowblower for next winter. I started my snowblower search early fall. 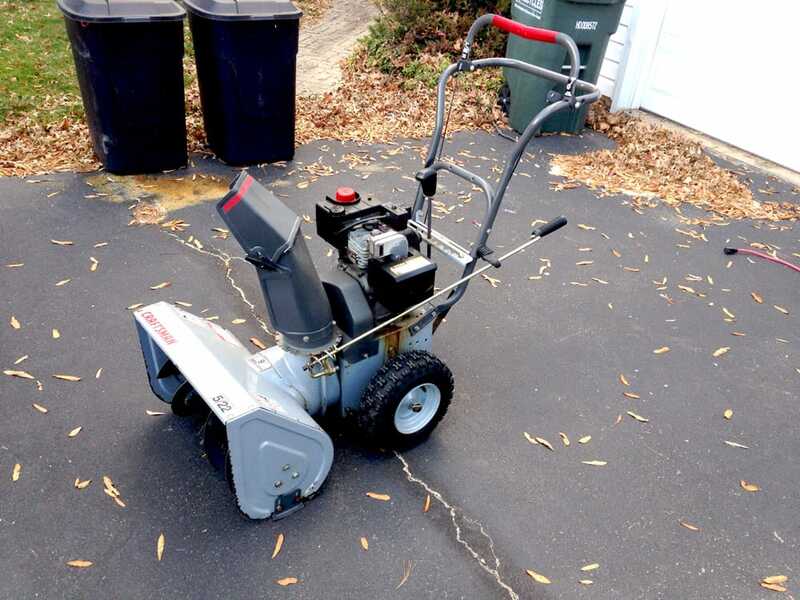 My goal was to find a good machine without spending a lot – even if it meant fixing an old snowblower. 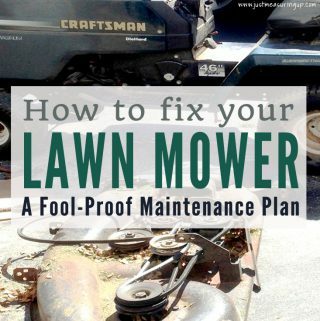 I already had a lot of experience maintaining my mower – a 20-year old Craftsman riding lawn mower. 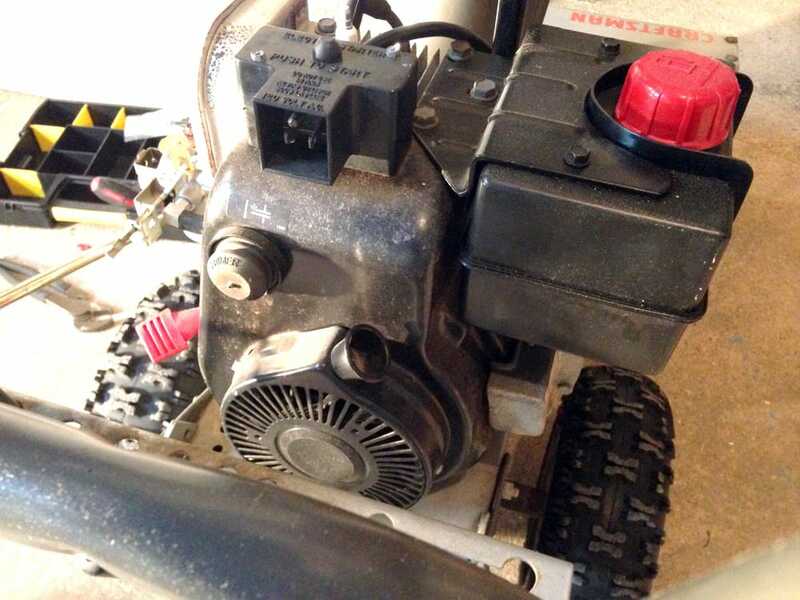 From simple engine oil changes to fuel pump replacements to carburetor rebuilds, I have the old riding lawn mower running like new. So, I decided to look for a used snowblower. Due to my experience with the Craftsman brand, I know that their replacement parts are plentiful and cheap online. 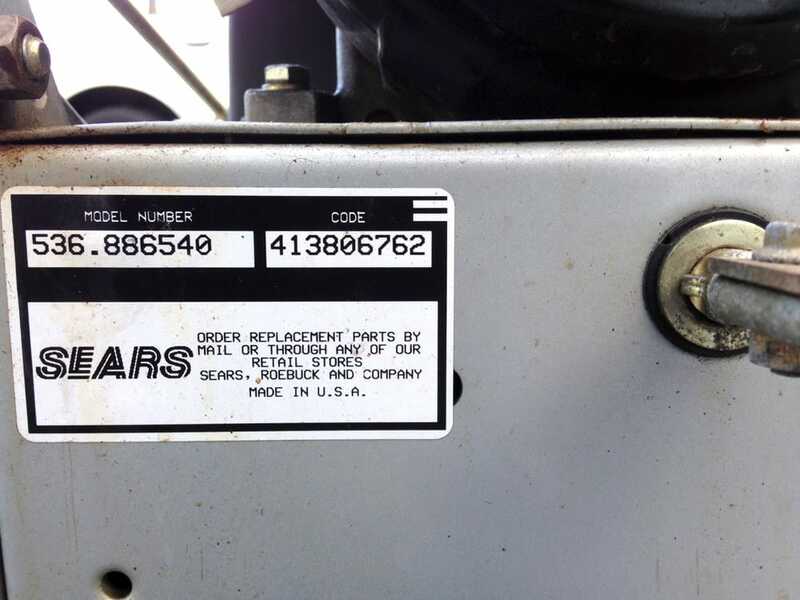 They also provide manuals and parts diagrams for almost every model equipment they make (just enter the model number on SearsPartsDirect.com). 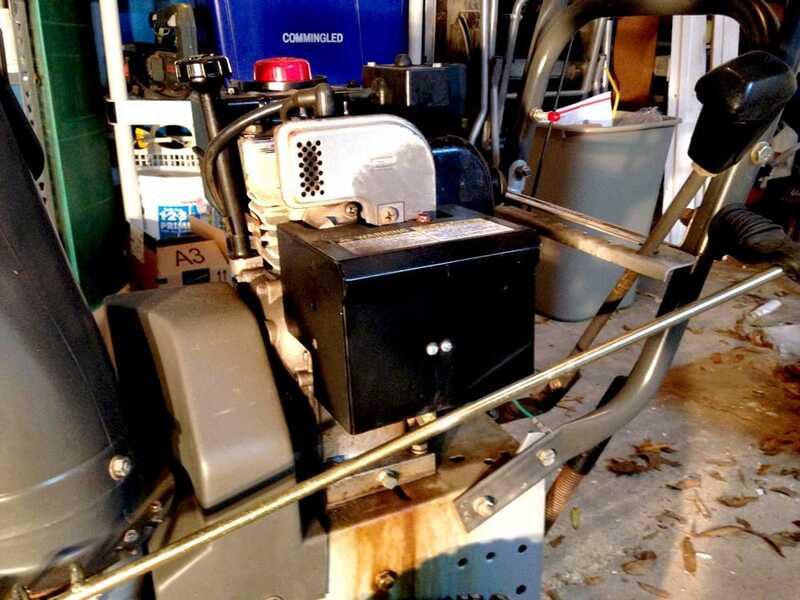 I found an amazing deal – $125 for a Craftsman 5HP two stage snowblower with an electric start. Comparable ones were selling used for around $275. For such a low price, I knew the old craftsman snowblower wasn’t going to be in perfect condition, so I kept my expectations low. Upon my inspection, the snowblower was missing the pull cord for manual startup, and the carburetor would leak fuel every now and then. It was also missing the control knob for the choke. 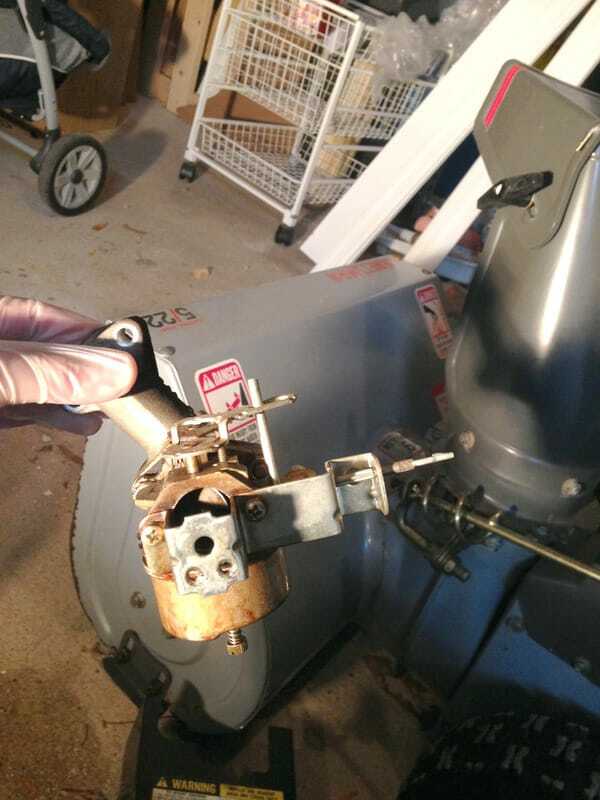 The guy selling it said the old craftsman snowblower would start making surging sounds after some time, until you fiddled with the carburetor fuel release screws. He started it up though and it ran great. I checked out all the forward/reverse gears. I inspected the impeller to make sure it was in good shape. The auger had no structural damage. I was excited. 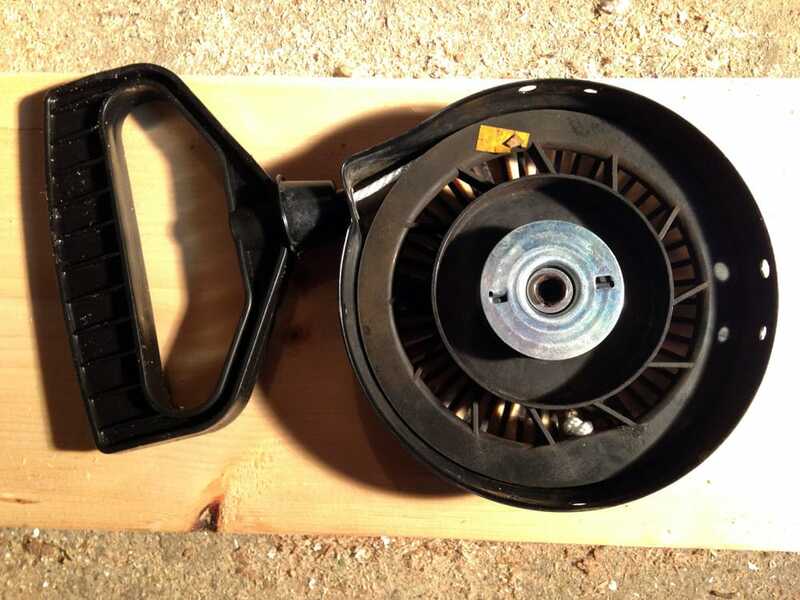 For around $40 more in parts, I could get this old snowblower in top shape. I happily accepted the offer of $125 and loaded the used craftsman into my SUV, with plans on fixing up the old snowblower. 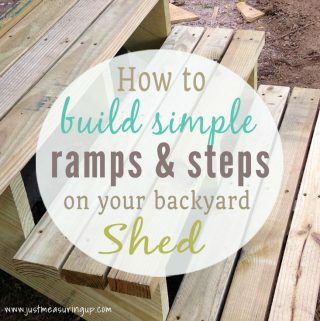 I had brought along a pair of ramps I made a few weeks ago with two 2×8 wood planks and ramp supports. ​This helped me load the used snowblower in the back of the car. I did have to take out a few screws to fold the push handle in half to fit properly though. I also wrapped the carburetor in a plastic bag to catch any fuel that was leaking (didn’t need the car smelling like gas for days). The price for the snowblower parts came up around $40 as I predicted. I considered rebuilding the carburetor (the leaking was probably from a deteriorated rubber seal), but new carburetors for this model were so cheap (around $15). 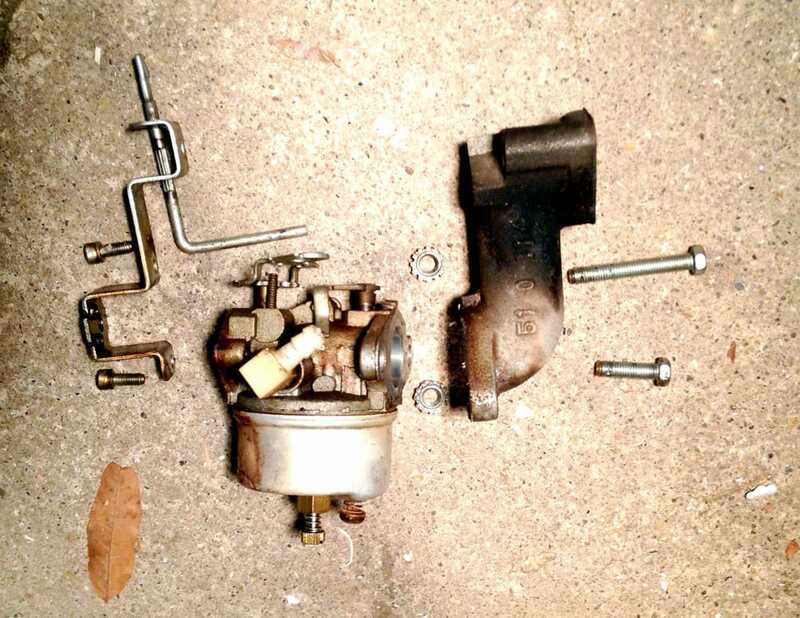 I actually just replaced my neighbor’s snowblower carburetor with the exact same one a few weeks ago too. 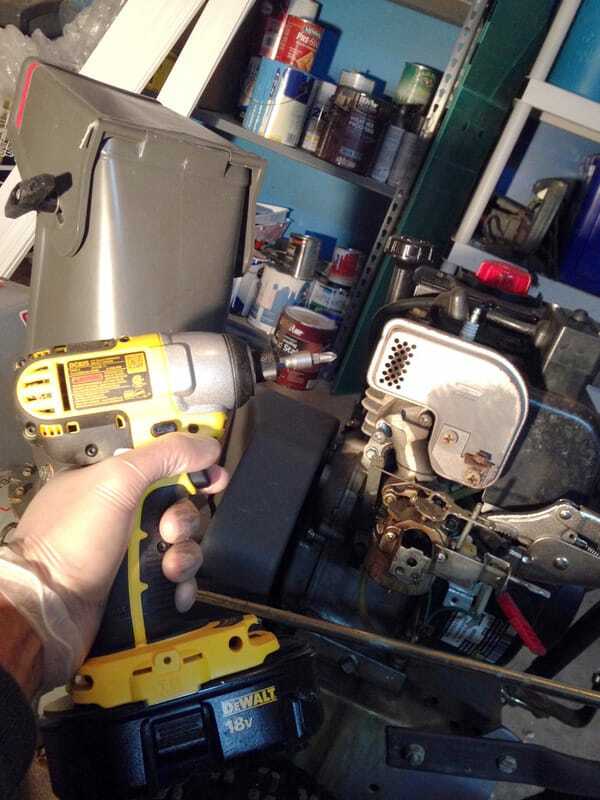 All my parts for the craftsman snowblower came about a week later and I went to work restoring the machine to tip-top shape. Below is a walk-through of what I did. 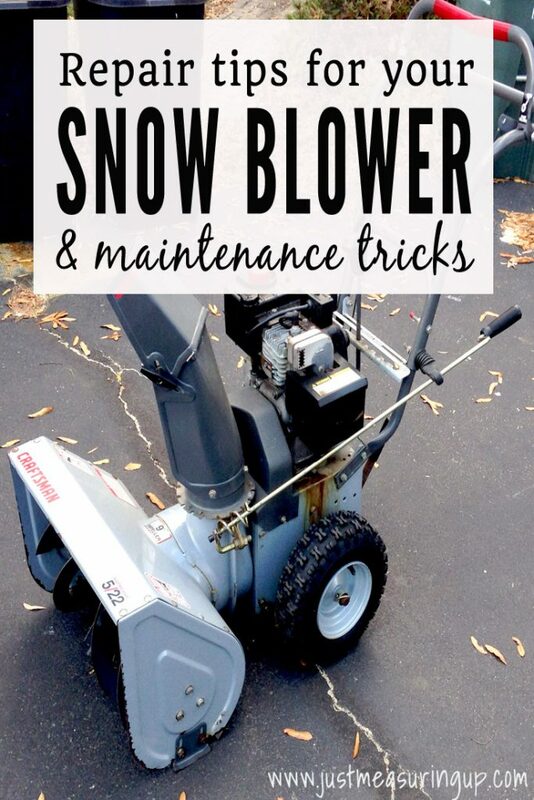 Hopefully these craftsman snowblower maintenance tips can help you too. 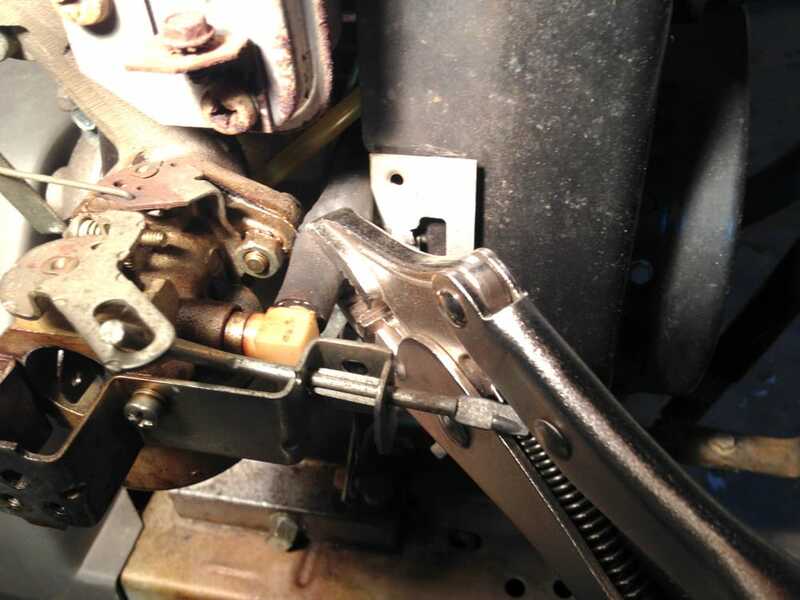 It was important to clamp off the main fuel hose or fuel would immediately pour out once disconnected. 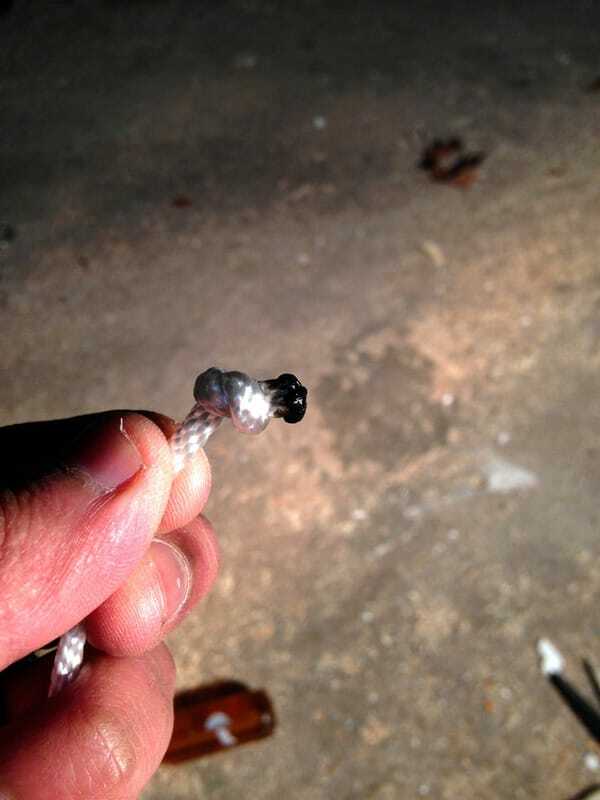 ​I used a vice grip, taking care not to squeeze so tightly that the hose would get damaged. I had a plastic cup underneath the hose while disconnecting it, in case my vice grip clamp didn’t do a good job. A word to the wise however – don’t use cheap plastic cups to hold gasoline. 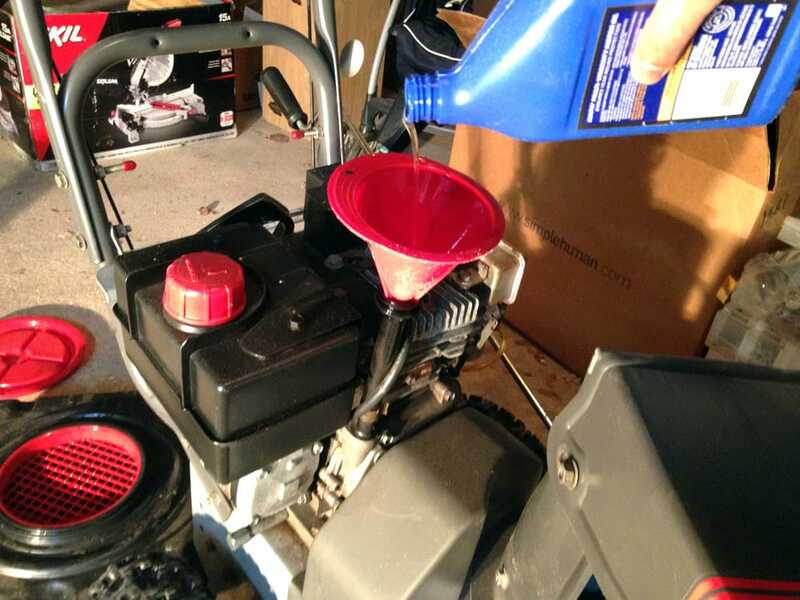 I didn’t think it was a big deal because I used a plastic cup the other day to catch some excess gas from my neighbor’s snowblower carburetor. However, this time, a few minutes after collecting some gas, I noticed a small puddle on the garage floor. Apparently the gasoline had eaten through my plastic cup! I looked it up online, and discovered that some plastic cups are not friendly to gasoline. Most likely my plastic cup this time was made from a corn based product, which would be dissolved by the gasoline. 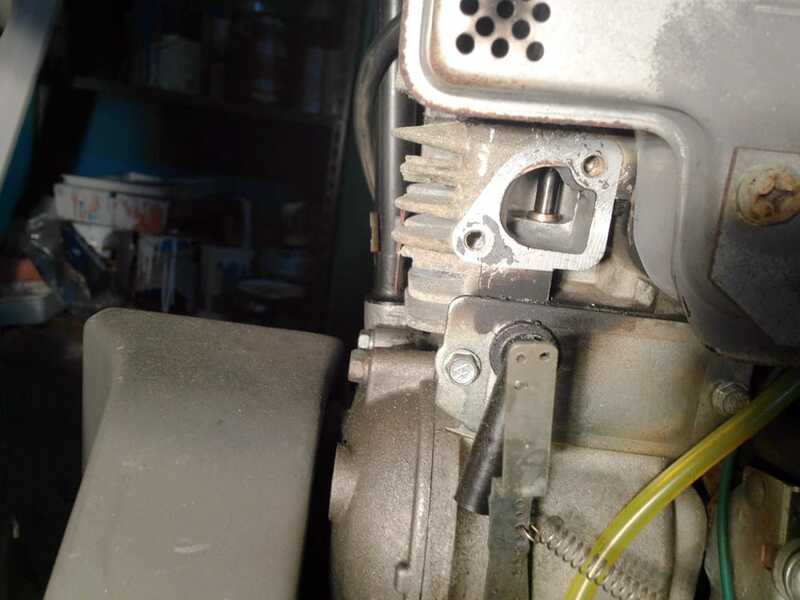 Next, I unhooked a metal link wire connecting the throttle control lever to the carburetor, and attempted to remove two bolts holding the carburetor to the engine block. The bolts were on extremely tight and I could not remove with a screw driver. The screw heads actually started stripping. The piece on the right is called the intake pipe and connects the carburetor to the engine block. Unfortunately, when I pulled it off the snowblower engine, a gasket in between the two ripped from old age. My new carburetor didn’t come with this gasket (since it’s not technically part of the carburetor), so I had to order a replacement. This meant I had to wait a few days to actually fire up the machine with the new carburetor. I could still proceed with the installation though, and just insert the gasket when it arrived. To install the new carburetor, I just reversed the steps above with the new piece. I loosely connected it back to the engine block, awaiting the gasket for completion. ​After, I proceeded to fix the snowblower pull cord for starting it up. The original rope most likely broke from old age. 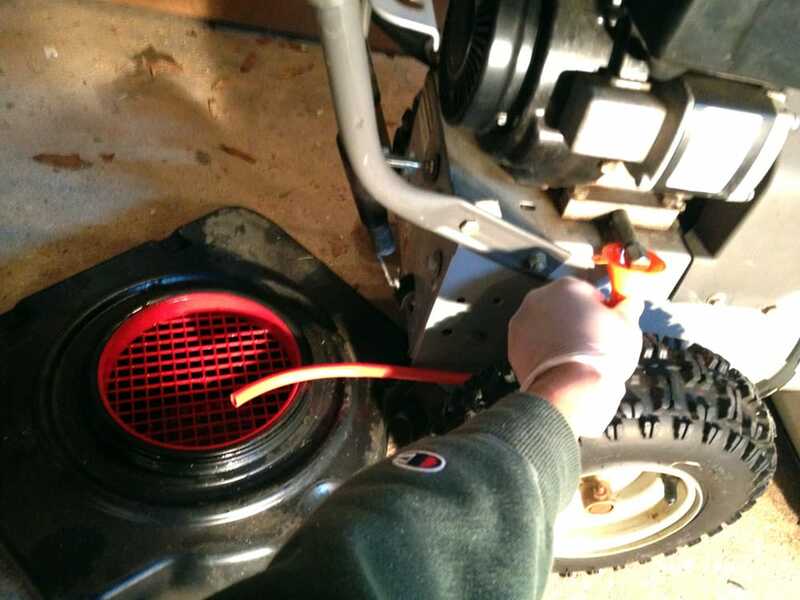 The snowblower pull cord remained secured to the starter and handle with knots on both ends. 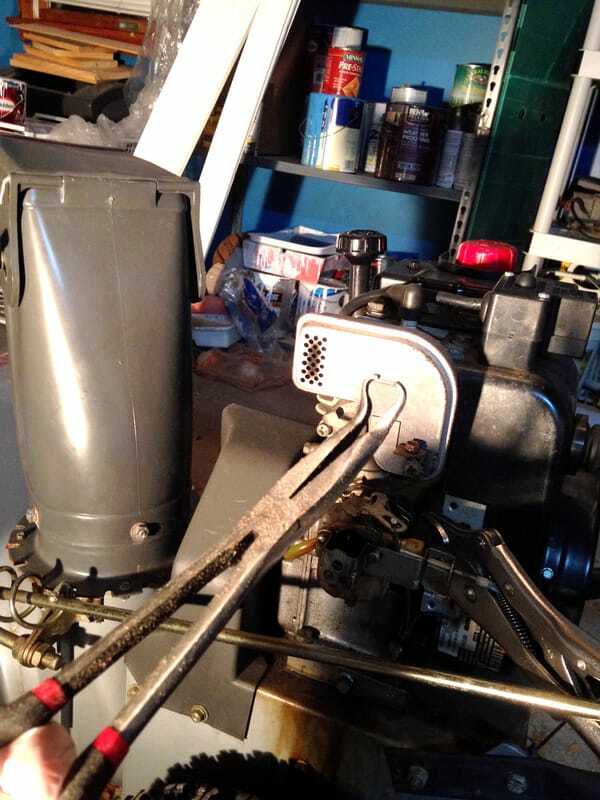 When the intake pipe gasket arrived in the mail a few days later, I resumed work on the snow blower. 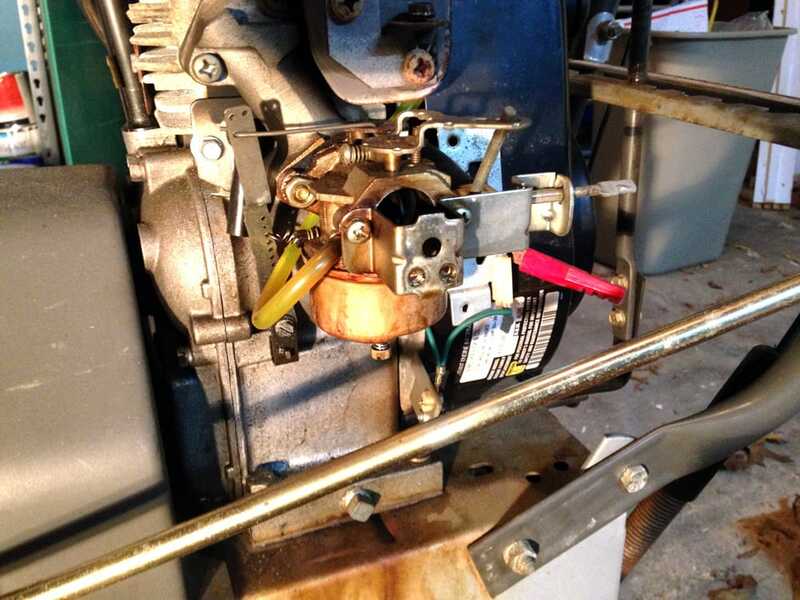 I installed the gasket and secured the carburetor tightly to the engine block. The craftsman snowblower was ready to be fired up. I rolled it outside and hooked up an extension cord for the electric start.The engine started up right away with the new carburetor and there were no more leaks. 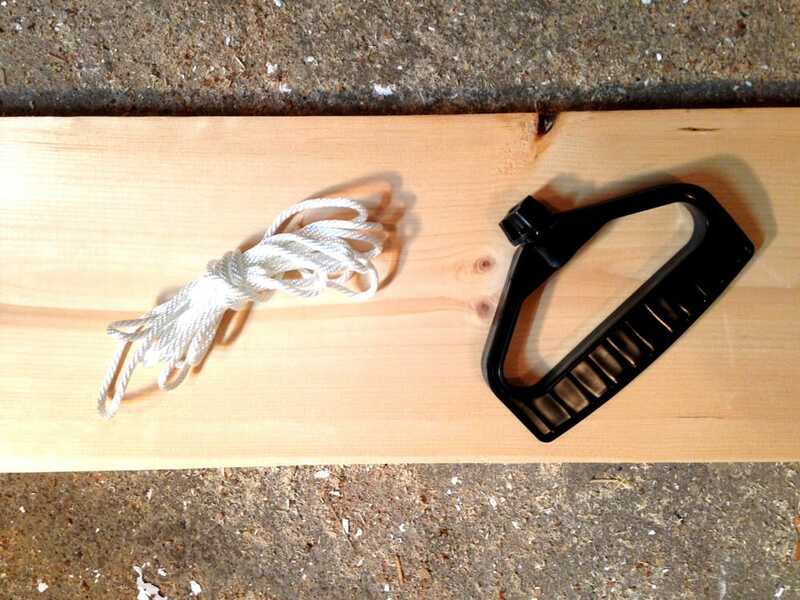 I also tested the snowblower’s pull starter with the new rope. The engine started up just as easily as the electric start. 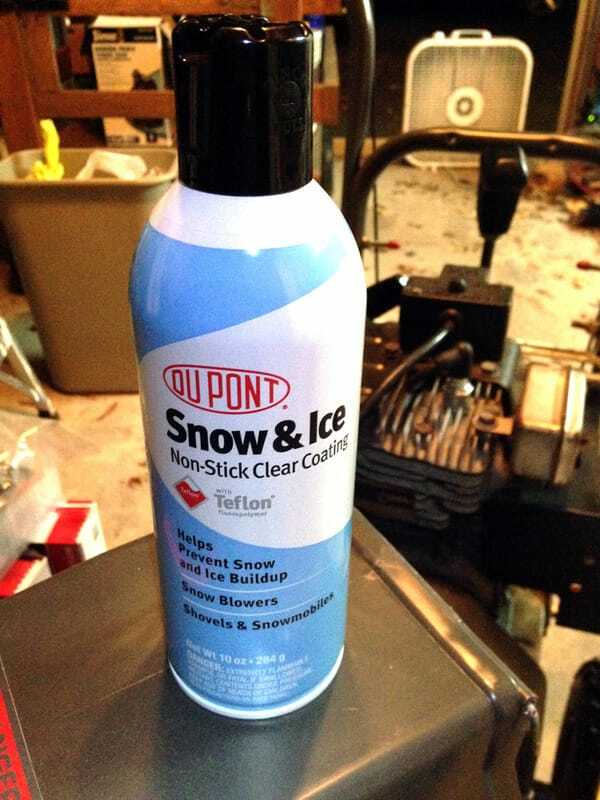 Next I was going to change the snowblower engine oil. I let the engine run for a few minutes to warm up the engine oil (warm oil flows more freely when draining it). ​Then I shut it off and proceeded with the oil change. 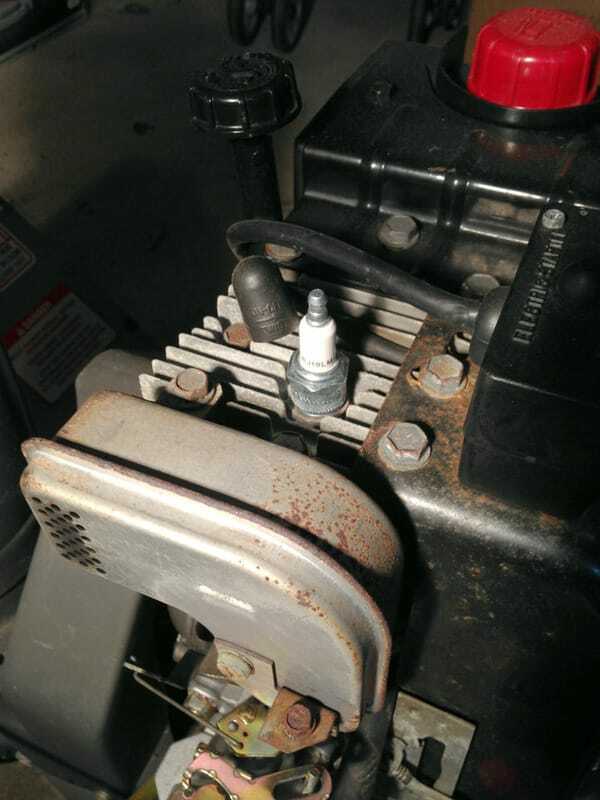 While filling the engine oil, I took breaks regularly to check the level with the dipstick. I learned the hard way that when you overfill the snowblower engine with oil that it’s going to come out of the engine one way or another, and not in a nice way. The craftsman snowblower revamp was nearly done. I replaced the missing choke knob. Also, the carburetor housing was vibrating excessively due so some missing screws, producing a lot of noise with the engine running. I dug through my garage screw collection until I found a fit. 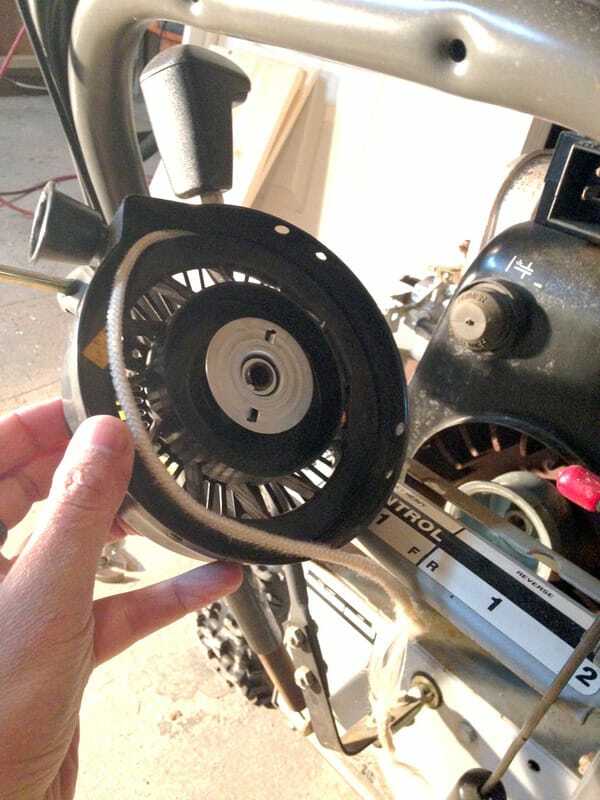 Finally, as my final step in fixing up the old craftsman snow blower, I applied some non-stick ice and snow coating to the auger blades and impeller chute. This prepared the snow blower for the upcoming winter season. This would greatly help prevent the snowblower chute from clogging up during use, and allow the augers to cut through the snow like butter. In total, I spent around $165 on purchasing and fixing an old snow blower ($125 to purchase and $40 in parts) and put in less than 3 hours of work to get it in prime condition. ​I’m eagerly looking forward to this upcoming winter and the next major snowstorm so I can use my new but used craftsman snowblower that’s running great. Feeling frustrated with your home? Grab our free 5-step guide and start making over a room in your home today. Get inspiring DIY ideas delivered t​o your inbox!